An 1839 daguerreotype camera, ancestor of modern photography, was sold at auction in Vienna Saturday for nearly 600,000 euros making it the world’s oldest and most expensive commercial photographic apparatus. An anonymous buyer paid 588,613 euros (792,000 dollars), bidding by Internet, said the Galerie Westlicht auction house here. The opening price was 100,000 euros for the wooden box structure, which is in its original state and had been lying forgotten in a loft in Munich since the year 1940 until the present owner of the premises accidentally came across it. Bids came from as far afield as South Korea, Japan, the United States and France, the auction house said. Michel Auer, a Swiss photographer and photographic historian, carried out an expertise on the device and concluded that it was the only remaining known example made by a French firm, the Susse Brothers. Before it resurfaced, the oldest known and most expensive daguerreotype apparatus in the world had been one also dating from 1839 but made by Alphonse Giroux, brother-in-law of the inventor Daguerre. 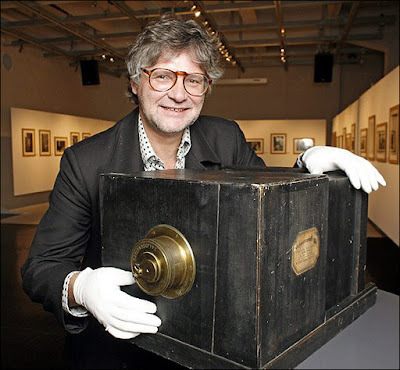 Only 12 remaining original Giroux daguerreotype cameras are known to be preserved in various collections around the world. The daguerreotype, named after the French artist and chemist Louis Daguerre, is an early type of photograph in which the image is exposed directly onto a mirror-polished surface of silver bearing a coating of silver halide particles deposited by iodine vapour. Babies might seem a bit dim in their first six months of life, but researchers are getting smarter about what babies know, and the results are surprising. The word “infant” comes from the Latin, meaning “unable to speak,” but babies are building the foundations for babbling and language before they are born, responding to muffled sounds that travel through amniotic fluid. Soon after birth, infants are keen and sophisticated generalists, capable of seeing details in the world that are visible to some other animals but invisible to adults, older children and even slightly older infants. At 4 or 5 months, infants can lip read, matching faces on silent videos to “ee” and “ah” sounds. Infants in their first six months can tell the difference between two monkey faces that an older person would say are identical, and they can match calls that monkeys make with pictures of their faces. Infants are rhythm experts, capable of differentiating between the beats of their culture and another. HAVANA (AP) – Fidel Castro called George W. Bush “an apocalyptic person” on Friday, hours after the U.S. president signed a bill that will pay for military operations in Iraq without setting a timetable for troop withdrawal. In the 12th signed statement released by the Cuban leader in recent weeks, Castro accused Bush of “faking rationality” and manipulating U.S. public opinion. The $120 billion bill approved Thursday by the U.S. House 280-142 funds the war through September and sets no date for a troop pullout to begin. The Senate approved it 80-14, and Bush signed it Friday. “Meanwhile, the region’s problems get worse,” Castro wrote, referring to the Middle East. “Bush is an apocalyptic person. Look at his eyes, his face and his obsessive preoccupation with pretending that all he sees on the ‘invisible screens’ is spontaneous,” Castro wrote in an apparent reference to the use of teleprompters. The 80-year-old Castro is recovering from a series of emergency intestinal surgeries and has not been seen in public for nearly 10 months. His previous statements have been published the following day on the front pages of Cuba’s two main state-run newspapers and read over and over again on government radio and television stations. Most of Castro’s recent editorials have blasted U.S.-backed plans to use food crops for biofuels, though Cuba’s “maximum leader” on Wednesday revealed key details about his health and recovery. He wrote that he underwent not one but several surgeries, the first of which did not go well and has slowed his recuperation. Castro stunned Cuba and the world in late July, when he announced he was seriously ill and was temporarily stepping aside in favor of a provisional government headed by his brother Raul, the 75-year-old defense minister. A secret memo proves that the Israeli government knew that its occupation of Palestinian land was illegal after it won the Six Day War in 1967, a British newspaper reported Saturday. Theodor Meron, who wrote the memo as the Israeli foreign ministry’s legal advisor at the time, said “I believe I would have given the same opinion today,” according to The Independent newspaper. With Israel now celebrating the 40th anniversary of the war, the 76-year-old Meron, who went on to become a leading international jurist, challenges Israel’s long-held argument that settlements do not violate international law. Meron also told the newspaper that then foreign minister Abba Eban was “sympathetic” to his view that civilian settlement would go against the Hague and Geneva conventions governing the conduct of occupying powers. But the Labour government at the time progressively approved the settlements in the captured West Bank despite the secret legal opinion which had been passed on to then prime minister Levi Eshkol. Such actions paved the way for at least 240,000 Israelis to settle in the the West Bank. Meron, who served as president of the International Criminal Tribunal for the former Yugoslavia until 2005, was also quoted as telling the Independent that the settlements have proven to be a real stumbling block. “It’s obvious to me that the fact that settlements were established and the pace of the establishment of the settlements made peacemaking much more difficult,” he was quoted as saying. 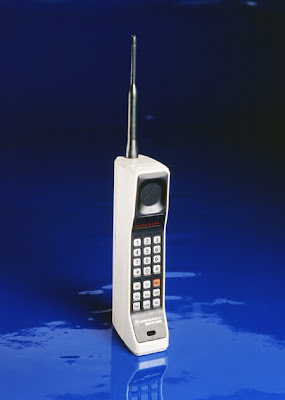 [Source] The Motorola DynaTAC 8000X was the first mobile phone to receive FCC acceptance in 1983. 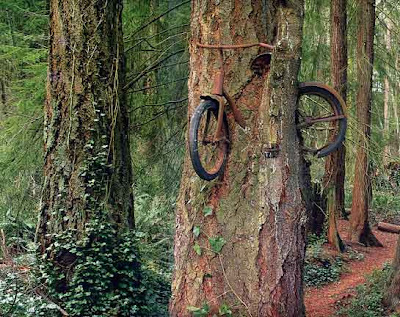 DynaTac was actually a abbrievation of Dynamic Adaptive Total Area Coverage. [Source] Dr Martin Cooper, a former general manager for the systems division at Motorola, is considered the inventor of the first portable handset and the first person to make a call on a portable cell phone in April 1973. The first call he made was to his rival, Joel Engel, Bell Labs head of research. AT&T’s research arm, Bell Laboratories, introduced the idea of cellular communications in 1947. But Motorola and Bell Labs in the sixties and early seventies were in a race to incorporate the technology into portable devices. While he was a project manager at Motorola in 1973, Cooper set up a base station in New York with the first working prototype of a cellular telephone, the Motorola Dyna-Tac. After some initial testing in Washington for the F.C.C., Mr. Cooper and Motorola took the phone technology to New York to show the public. In 1973, when the company installed the base station to handle the first public demonstration of a phone call over the cellular network, Motorola was trying to persuade the Federal Communications Commission to allocate frequency space to private companies for use in the emerging technology of cellular communications. After some initial testing in Washington for the F.C.C., Mr. Cooper and Motorola took the phone technology to New York to show the public. On April 3, 1973, standing on a street near the Manhattan Hilton, Mr. Cooper decided to attempt a private call before going to a press conference upstairs in the hotel. He picked up the 2-pound Motorola handset called the Dyna-Tac and pushed the “off hook” button. The phone came alive, connecting Mr. Cooper with the base station on the roof of the Burlington Consolidated Tower (now the Alliance Capital Building) and into the land-line system. To the bewilderment of some passers-by, he dialed the number and held the phone to his ear. Cooper grew up in Chicago and earned a degree in electrical engineering at the Illinois Institute of Technology. After four years in the navy serving on destroyers and a submarine, he worked for a year at a telecommunications company. Hired by Motorola in 1954, Mr. Cooper worked on developing portable products, including the first portable handheld police radios, made for the Chicago police department in 1967. He then led Motorola’s cellular research.